Samsung Series 5 Ultra Touch Specs, images, review links and videos are always available in our database. Ports: 2xUSB2.0, 1x USB3.0 with sleep and charge, HDMI, 1xmicro VGA (adaptor supplied), Gigabute Ethernet, SD card slot, 1 x headset port. Included accessories. Micro VGA adapter. No TPM Module, No VPro, Sealed battery. 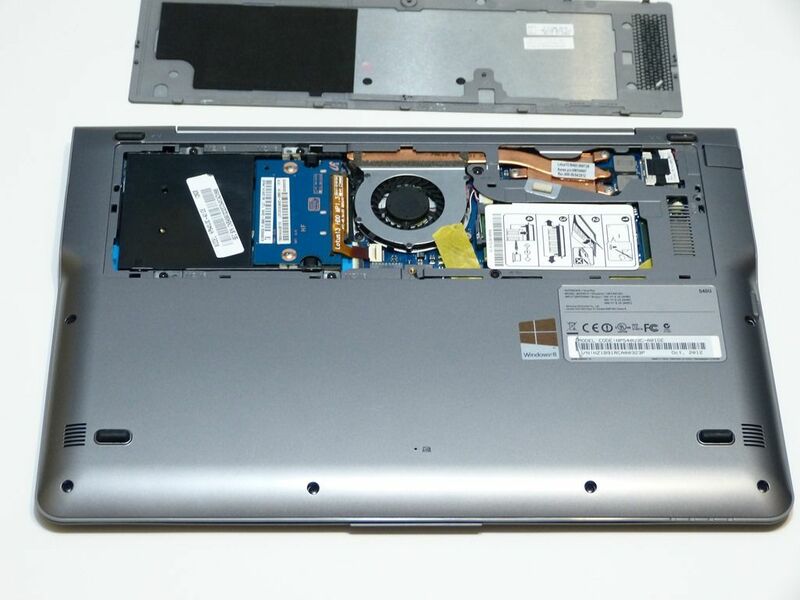 Access port for 7mm SATA drive, and memory slot (2GB on board), NO Keyboard backlight. 1MP cam. Stereo speakers. Mic. Before we go any further it’s going to be worth us pointing out that the Series 5 with touch is almost exactly the same build as the original Samsung Series 5 (reviewed here) apart from the following. Apart from a plastic strip at the top of the back of the screen (to improve WiFi antenna reception?) and slightly different sized rubber feet we can’t see any differences. The Series 5 remains a stylish Ultrabook. We’ve still got the original Samsung Series 5 here and it’s in daily use by an affiliate member of the team (my wife) so we can vouch for build quality although as with all aluminium casings, a knock can result in a highly visible dent in the casing. We have one! The original Series 5 (with HDD) here has experienced two drops and is still working perfectly though. Overall the Samsung Series 5 feels well-built and looks tidy and stylish. This touch version does have a little extra weight that’s noticeable but that’s what you’ll have to accept with all touchscreen ‘retro-fit’ models. Worth a mention is the rear access port. 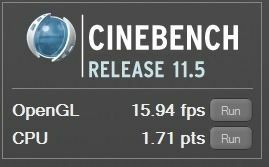 Overall the SSD performance is good (not the best in class) and the 1.7Ghz Ivy Bridge CPU will give you solid performance for any sort of office work. There’s one issue to note in that Turbo Boost is disabled under battery power. As with the original Series 5 it’s tuned to be ‘polite.’ that means no big heat build-up or fan noise. There’s even a silent mode where the fan is turned down, or even off in some cases. Boot speed is about as fast as you can get today with sub 25 seconds easily achieved. With Analogue headset output, HDMI and WiDi you’ve got analogue, digital and wireless digital output. There’s no array mic. Speaker quality isn’t bad for a laptop. HDMI and VGA output (via a mini port which requires the supplied adaptor) have you covered for most projectors and screens up to 1080p resolution. WiDi will also give you that wirelessly if you buy a $50 adaptor box but there’s no DisplayPort here for higher resolutions. The HD 4000 GPU is a great step up from the HD 3000 of the previous generation Samsung Series 5 and brings it into the realm of casual gaming. 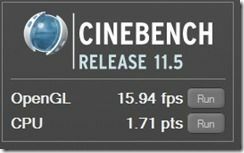 The Intel Quick Sync video hardware has also been speeded up so for those wanting to convert video files with a compatible program, you’ll see excellent results. With the SSD in place of the hard drive even consumer video editing at 1080p is possible. 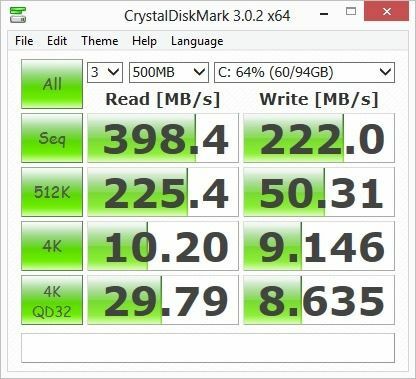 The SSD speed results are reasonable although not as fast as some SSDs we’ve tested recently. Compared to the hard drive version of the Samsung Series 5 we tested last year the speeds are many, many times faster. Samsung usually do a good job on platform efficiency and we can confirm that the Series 5 Ultra Touch SSD follows that trend and with the 51Wh battery (ours came with 54Wh of charge capacity) some above-average battery life figures can be achieved. In one extended test we did we confirmed that you could write, while offline, on the Samsung Series 5 Ultra Touch for 10 hours on one charge. More details on that test can be found in the separate article here. In general, for online activities including using web-based applications and strong WiFi connectivity you’ll be OK for around 6hrs of browsing. Video playback should net you around 4hrs and for gaming, if you should choose to do so, you’ll be looking for a charge after around 2-2.5 hours depending on the intensity of the game. We had one niggling fault during testing. 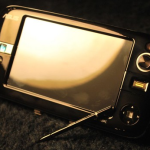 Often, after a standby session, the touchscreen didn’t respond. Going into standby and returning again often fixed this. It could be software related although we made sure we had all driver and firmware updates in place. 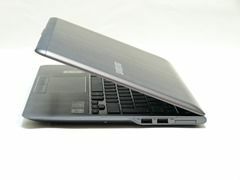 Support Ultrabooknews and detailed reviews. YoPlease take the time to promote us on your favorite social networks if you feel this review was useful. It helps us to keep standards high. Those looking for higher resolution (for clearer fonts or, with reduced text size, more working space) and those looking for wide viewing angles won’t like the Samsung Series 5. Likewise the people that want full-power on-the-go. The locked Turbo Boost under battery power is there to give a cooler, quieter and longer-running experience. 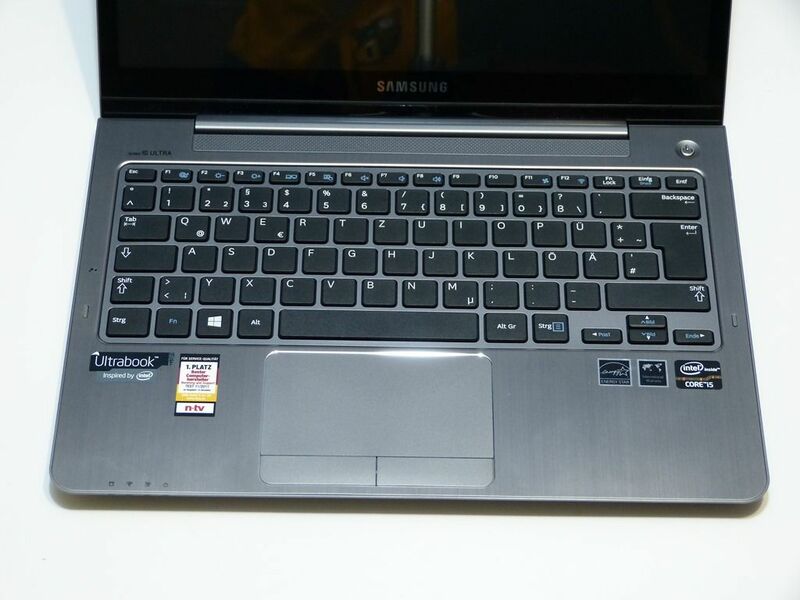 If we had an editors award we’d be giving it to the Samsung Series 5 Ultra Touch right now because it’s a well-built, well engineered and good looking Ultrabook that can handle many duties well. There’s the possibility of upgrading SSD and memory and the touchscreen adds fun and productivity. A good set of ports with a full-size SSD card slot completes the line-up. If Samsung had thrown in a 1600×900 screen the package would be near perfect. But that’s possibly what the new Samsung Series 7 Ultrabook is there for so as that feeds in to the market, look for pricing offers on the Series 5 Ultra Touch. At $849 it’s already good value but we feel that there’s at least $100 to be had in offers later this year. As a back-to-school Ultrabook as the new Haswell-based Ultrabooks feed in, this could be become 2013’s best mainstream Ultrabook. 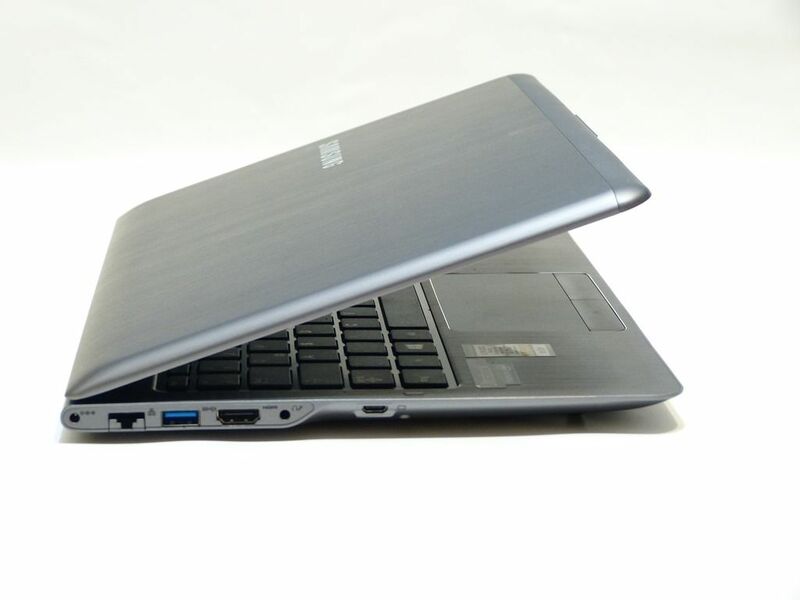 Our tip: To save money or to have a lower entry-point into this Ultrabook look for offers on the Core i3 version which, under battery power will match the Core i5 for performance. Upgrade the 500GB drive to an SSD and drop in some more memory when you’ve got the money. 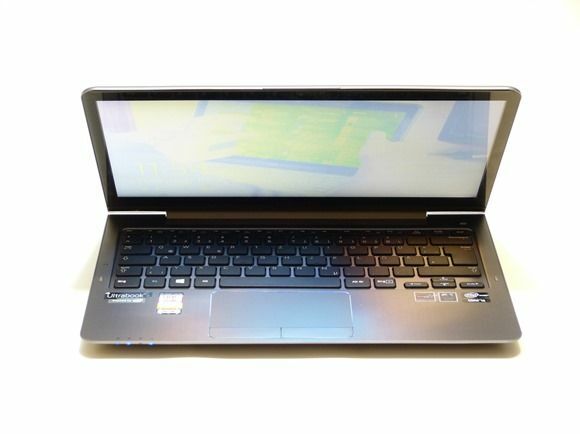 The Core i3 version is currently available for $599 in the USA. The perfect ultrabook to buy on the cheap ($599 hd version) and upgrade to a high perf SSD. Great review; seems to be a great device too. Thanks for a good balanced review. I suggest you also provide a table showing the pros and cons. Makes it easy for not so IT savvy persons.